Amazing 30th birthday card. Send this foil concertina card and it's guaranteed to become a keepsake birthday card. 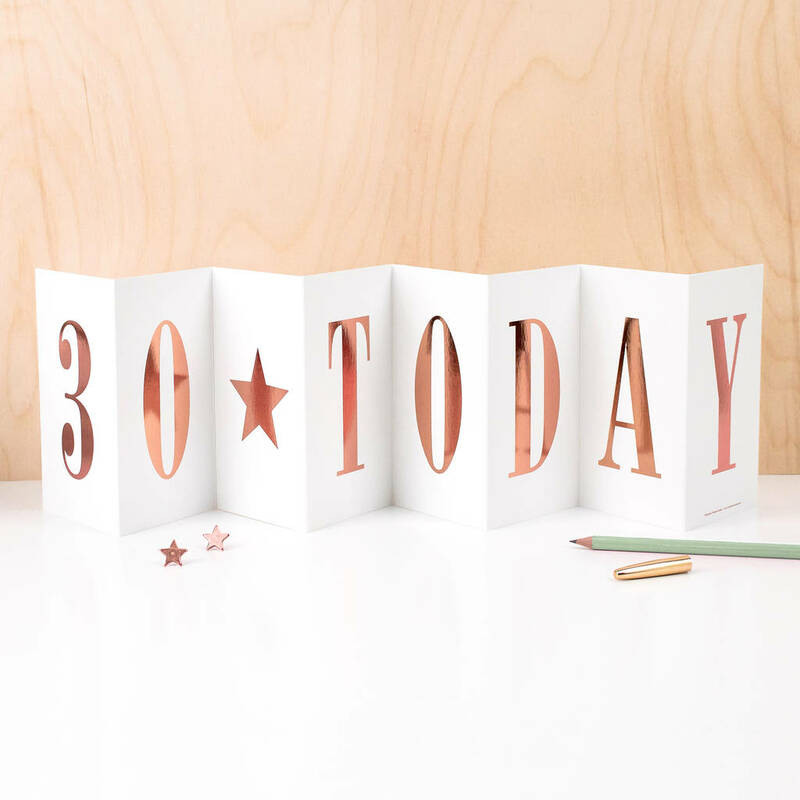 An eye-catching rose-gold foil birthday card with a difference; open the card out to reveal a super-long (70cm!) 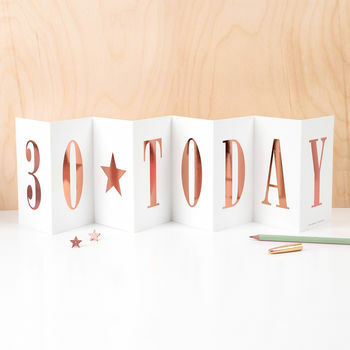 card that says '30 TODAY'. Comes with a kraft brown envelope and sealed inside a cellophane bag. 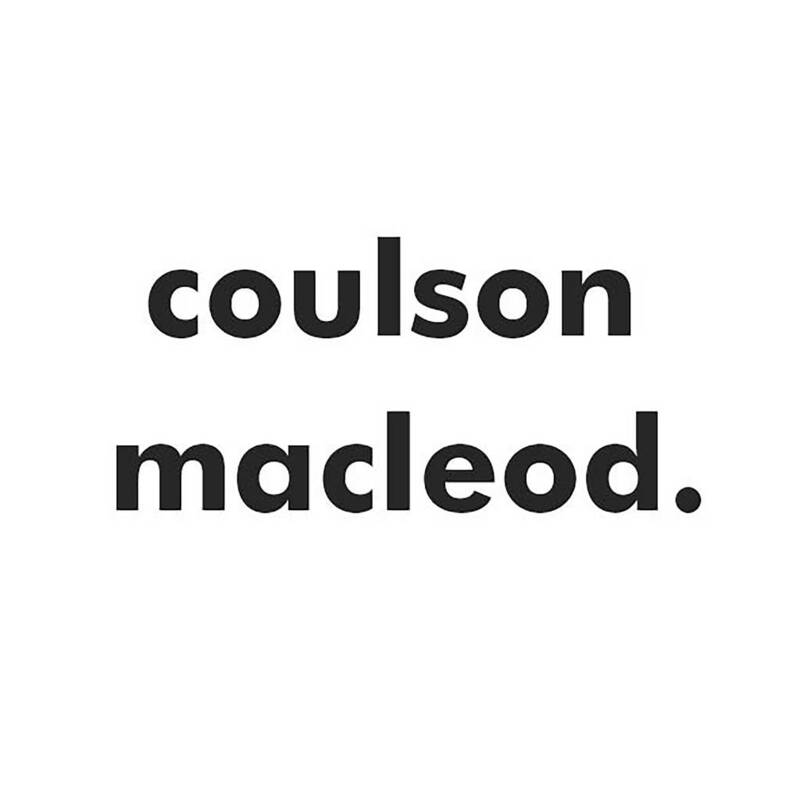 Posted in a rigid envelope. You can also choose to send this order direct to the recipient; perfect if you're overseas or in a hurry. 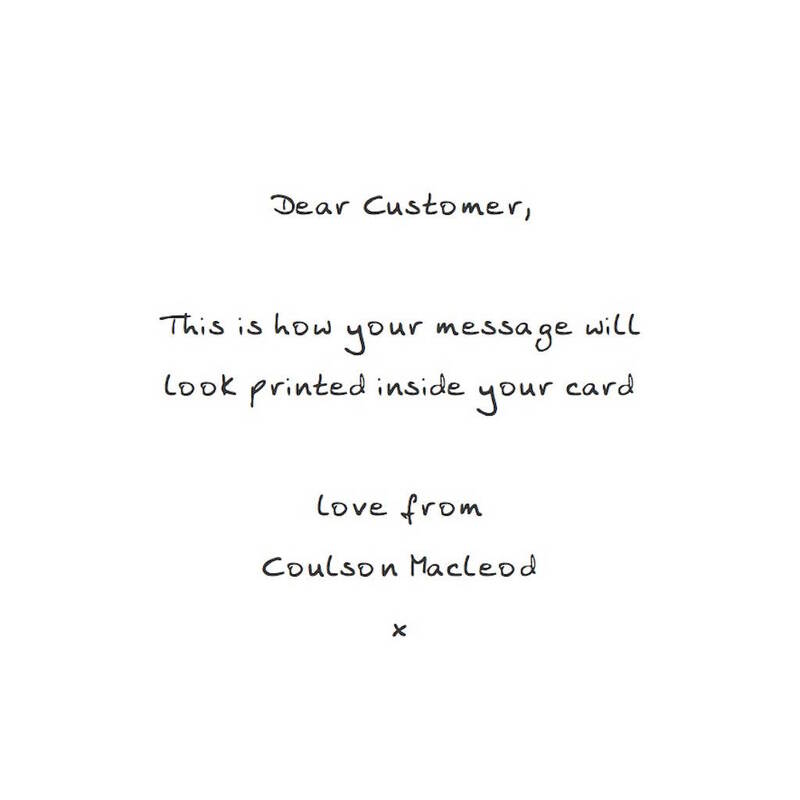 A card chosen with this option will have the message printed on the card exactly as typed in the text box and sent in the kraft envelope directly to the delivery address provided. We will not send the receipt to the recipient. A card sent direct will not include the cellophane bag or rigid envelope.